As I begin writing this I realize I’m not actually going to attempt to answer my question. I think the question would be better answered by John Piper himself. What I am going to contend is that John Piper misrepresents evangelical Arminianism and fails to interact with its foremost spokesperson sufficiently enough. 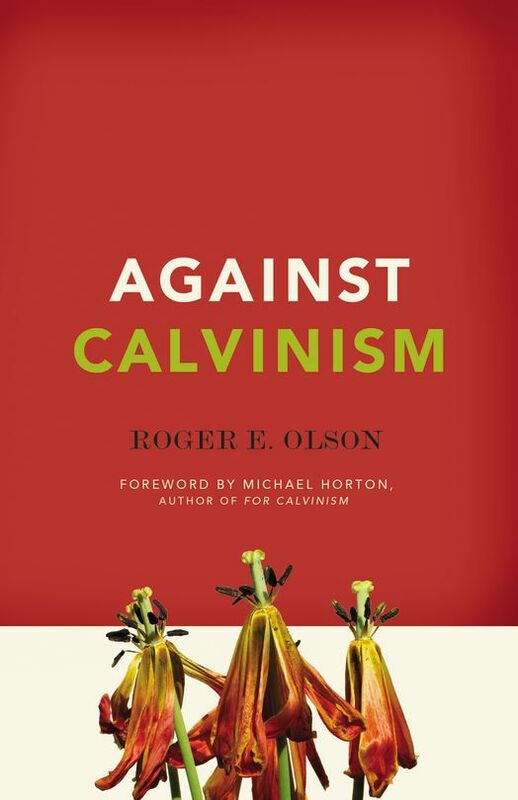 Piper initially agrees with Olson on the need for greater theological depth and reminds the listeners that Arminians have historically had plenty of passionate and popular leaders and preachers – all well and good so far. Then he gives his theological analysis of why Arminianism is struggling. Now I could well reply by doubting whether much of the laity associated with the rise in Calvinism really understands Calvinism or whether they are affiliating themselves with celebrity pastors rather than doctrinal systems. I could also doubt whether some of the pastors who enjoy celebrity status as leading Calvinists really understand Calvinist and Arminian theology aright. I could also question whether Calvinists really get their theology inductively from scripture or whether they, too, bring philosophical presuppositions to the text of Scripture. And I could also question whether Calvinists are really focussing on the distinctive aspects of Calvinist theology when they are worshiping God (I’m no authority on Christian worship lyrics but how many songs express the idea that the reason I am currently singing to God is ultimately because God has causally determined everything from eternity including my current act of worship?). I might even dare to ask where the Calvinist Charles Wesley is? All of these are worthy of exploration I think but here is my primary complaint with this interview: Piper insists on failing to interact with what Roger Olson holds up as standard evangelical Arminianism. Olson has, in fact, addressed this claim that Arminian theology is man-centered on numerous occasions. This has been one of the primary complaints of Olson throughout his profound theological career. It’s not that Piper has missed some footnote in some obscure theological paper – rather he is failing to interact with a primary point being made by Olson. In relation to our salvation, Olson frequently uses the biblical analogies of being given a gift or being saved from death. He points out how ridiculous it would be for someone to claim that the “decisive factor” in why someone has a lavish gift bestowed upon them which they completely did not deserve was because they accepted it and how absurd it would be for the drowning swimmer saved by a lifeguard to insist that it was their lack of resisting the lifeguard pulling them to safety was the “decisive factor” in their being saved. In the analogy the drowning swimmer can resist. They can lash out and make it impossible for the lifeguard to save their life. Clearly their response is a very important factor in that sense. One can even say it is a crucial or decisive factor in terms of whether they are saved or not as well. But then this would simply represent the amount of responsibility the Bible puts on human beings for the responses they make to God. Piper would need to show that man can be held responsible for his actions if God has causally determined his actions (either directly or through the nature he has ultimately given him) and Piper doesn’t do that. Neither is it fair to suggest that a human decision, granted by the sovereign grace of God, makes this choice a “man-centered” soteriology. Classic Arminian and Wesleyan theology makes the sacrifice of Jesus Christ the central aspect of salvation history and nothing else. So is it really representing Arminianism aright to say “Its distinguishing core is man-centered…”? Well the problem is the language is too vague. It could mean man is the center of the plan of salvation history but if that’s what “man-centered” means then Calvinists would want to affirm that too. All evangelicals see the plan of salvation as being centered on saving humanity. So, in that sense, we would all affirm it is “man-centered”. If the Calvinist is a compatibilist then they would also agree that the choice of man is also central to their being saved (as compatibilist Calvinists do not think God saves people against their wills but in accordance with their wills). But this is the only sense in which an Arminian could agree with the phrase. It is only man-centered in the sense that the choice of humans does determine whether (s)he is saved. But then that’s no different than what the compatibilist Calvinist believes too so that would hardly be a huge criticism – especially since Piper appears to be a compatibilist Calvinist. Notice what Piper says in this interview @2:13f. The “center” to the solution is “a choice”? A human choice (albeit a compatibilist ‘choice’). It therefore seems somewhat hypocritical that Piper would criticize Arminians for having man’s choice as a decisive aspect of salvation when Piper himself does the very same thing but just in a compatibilist sense rather than an incompatibilist one. The other interpretation of this accusation both Calvinists and Arminians would disagree with. This would be the claim that “man-centered” means that the entire plan of salvation was brought about by the will of man and that he does something significant in himself to make salvation happen (Pelagianism). That kind of “man-centered” soteriology is clearly rejected by Arminians and numerous Calvinist scholars have also demonstrated that Arminianism is not Pelagian or semi-Pelagian. So one is left wondering what point there is in claiming Arminianism is “man-centered” unless the phrase is only being used as a rhetorical device. I would suggest this is the way many people will read Piper but this distorts what classic Arminianism affirms about the depravity of fallen humanity. I confess I am inspired to worship despite Piper’s protestations. Mark Driscoll is a very good example of this. For more on bad Calvinist arguments from analogy see A Story of Four Lifeguards. This entry was posted in Arminian Theology, Calvinism and tagged Arminianism, Calvinism, Charles Wesley, John Piper, Roger Olson. Bookmark the permalink. 4 Responses to Why does John Piper misrepresent evangelical Arminianism? I wonder how Piper’s precise interpretation of imago dei interacts with all of this. I also wonder how he deals with “you are gods” in Jn 10:34 and Ps 82:6. Or how about “we are God’s fellow workers” in 1 Cor 3:9? I was recently in engaged in a discussion where the other person thought that the amount of awe you have is dependent on how much bigger the thing is than you, which you are looking at. I wonder if there is some taste of this in Piper’s thinking, that leads him to think that God being in control of our every flinch is somehow better. Allow me to rant for a bit more. Jesus famously overturned traditional authority structures with Mt 20:20-28, and Paul defined agape love this way in 1 Cor 13:5 “It does not insist on its own way.” Love can certainly want a way—Ezek 18:32 and 1 Tim 2:3-4 come to mind—but this is different from forcing that way down everyone’s throats, whether by marionette string or something more gossamer. And yet Piper pushes a God we do not see in Jesus; can you see Piper’s portrayal of God as one who weeps as Jesus did in Mt 23:37-39? And yet we are told that Jesus is the “express image of God” in Hebrews 1. I understand how every individual passage can be twisted and fit into a Piper-like theology. I’ve done it myself in my past in various ways. Some of the twists quickly seem small. But what is the overall effect, the overall tension, when one looks at many verses like this at once? The marionette strings seem to just snap, or vanish, because our God is not a God of dominance. That’s Baal. He was a god of lusty power. Our God asks the rich young rulers to follow him, loves them, and lets them walk away if they so choose. Somehow though, this is all man-centered. I know enough about definition-munging that I could probably make that phrase descriptive. But it would just be more twisting. I am Catholic. I married a Lutheran and learned about certain forms of Protestantism. At first so much of this discussion was very foreign to me and strange to me. It still seems strange even though it is no longer foreign. But the analogies you mention seems to line up with scripture quite well. Its not that we “earned” heaven by our conduct but that doesn’t mean our conduct doesn’t play a role in whether we go to heaven. This reminds me of children arguing about whose dad is better. To say we are accountable for our actions somehow makes God worse seems very strange. The protestant theology that denies free will seems irrational on its face. Is it rational to concern yourself with things outside of your control? If its “all God” then is God judging us, or himself? I often wonder things like this. Indeed. This is why I think that Arminianism or Molinism are far better theologies.